Would you like a more energy-efficient home, but don’t know where to start? GVEC is there to help with a team of energy experts: our Member Services Advisors. Just give one of them a call at 800.223.4832. They can discuss ways to improve your home’s efficiency, meet with you to perform a free, home energy audit and assist you with our Energy Efficiency Rebate program. Adding insulation is relatively inexpensive, especially when you factor in GVEC’s rebate. Insulation serves as a critical barrier for keeping summertime attic heat from radiating down into your home’s interior. It also helps seal leaks caused by open stud cavities or attic knee walls, for example. So, this helps your home’s conditioned air stay where it’s supposed to—inside your home’s interior and not the attic. GVEC offers a rebate for adding insulation to your attic if it’s R19 or less because this upgrade can really make a difference in your energy savings. Building a new home? We’ve got a rebate for that, too. To qualify it’s required to consult with us before the planning stage, so we can help you make sure your new home meets this rebate’s specific requirements. Rebates for new homes vary, starting at $3,200. We can also make building and design suggestions that could help reduce your future energy bills. We’ve been talking a lot about these high-efficiency systems—rebate amounts depend on the SEER (Seasonal Energy Efficiency Ratio) selected. Although a heat pump system may cost more upfront than a conventional system, it will pay dividends for years to come in energy savings and comfort. GVEC Home offers a high efficiency system package featuring advanced variable- and multi-speed technology that not only delivers year-round savings, but also more even cooling, better humidity control and quieter operation. Plus, get an instant member rebate with qualifying system. Did you know that nearly 20 percent of the average home’s energy bill is due to water heating? Homeowners would do well to consider a heat pump water heater when replacing a standard tank water heater. This appliance costs more upfront, but it has a short payback period when you consider the energy savings (up to 70 percent more efficient) and GVEC’s rebate. This GVEC rebate, which has been available for several years, is subject to availability and may soon be gone. (However, federal tax credit will still be available through 2021.) 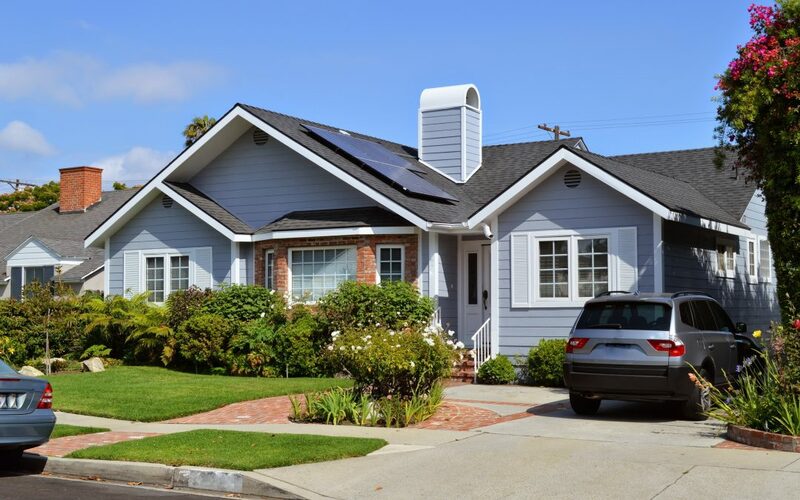 We estimate 4Kw systems sold through GVEC Home, on the average, will offset the typical GVEC electric bill by about $50 a month. Since pricing, materials and installation can vary greatly, we encourage you to call a Member Services Advisor for a recommendation of the solar system configuration that will bring you the most return for your investment. Out of sight, out of mind? We have a rebate for this, too. Even newer homes can have ducts that leak, are disconnected or restrict air flow as a result of crimps or poor design. This is truly a waste of your energy dollars when you consider the fact that heating and cooling accounts for nearly 50 percent of the typical home’s electric bill. Solar screens provide a lot of bang for the buck. They help keep the sun off window panes and frames to reduce heat transfer into your home. And, this can be a better solution than depending on blinds and drapes. We also offer rebates for window replacement. Search for GVEC-listed contractors. This list indicates these contractors have met with us and should understand how our rebate program works. Track the status of your rebate. Rebates less than $1,500 are credited to your electric bill. For rebates that are $1,500 or more, you’ll receive a check. *These rebates are subject to availability and may change at any time.